Couples who wish to end their marriage in Oregon can choose from traditional divorce or an expedited form of divorce called "Summary Dissolution." In Oregon, all divorces are referred to as "dissolution of marriage." The divorce papers must be filed in the county where the petitioner (the person asking the court to grant a divorce) lives. Oregon law permits "no-fault" divorce only. In a no-fault action, the parties do not allege any sort of misconduct. Rather, they site "irreconcilable differences that have caused the irremediable breakdown of the marriage," as the reason for the divorce. To begin your case, you must file the appropriate forms with the court. Oregon allows both traditional dissolution of marriage and a short form of dissolution called "summary dissolution." Oregon makes it easy for spouses to dissolve their marriages by providing a do-it-yourself packet that you can download online. There are two separate packets, one for couples who have children and one for couples who do not have children. Couples who satisfy these requirements can either file their forms in person or mail them to the court. Oregon courts also have a do-it-yourself packet for this type of divorce. 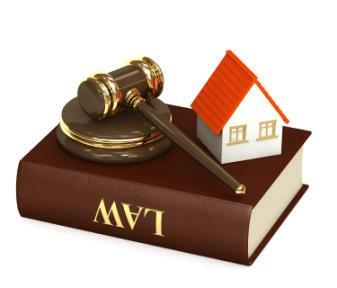 Courts do not consider spousal conduct when dividing property. Under Oregon law, there are three possible types of alimony. For many divorcing couples, child-related issues make a case more intense. Courts in Oregon must decide how to award custody and how much child support the child should receive. Child support is awarded according to state guidelines. Parents can get an idea of their child support obligation by using the child support calculator published by the Oregon Child Support Program. If you are facing divorce in Oregon, you have choices. Parties who can work out their differences with minimal disputes can avoid the headache of a prolonged case by using Summary Dissolution. Whatever you decide, it is best to speak with an attorney before filing your case.